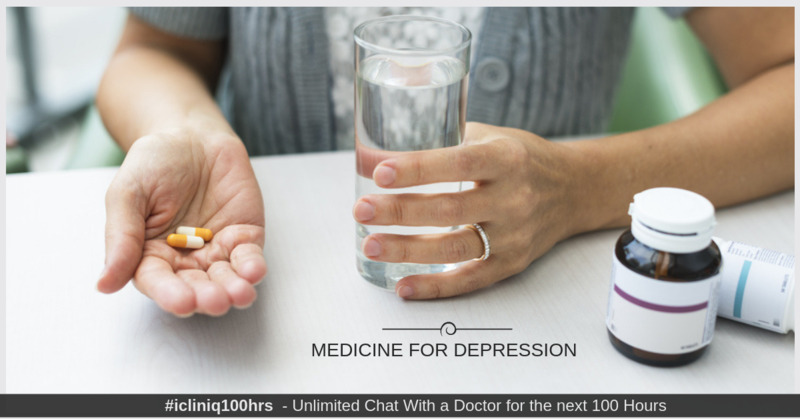 iCliniq › Ask a doctor online › Answers › Psychiatry › Depression › Kindly suggest the best medicine for depression, anxiety, and lack of confidence. Q. Kindly suggest the best medicine for depression, anxiety, and lack of confidence. I have depression, anxiety, lack of confidence, lack of energy and sleep, excess sweating, fast heartbeat from last 18 years. I have tried several ayurvedic treatments, then went to psychiatric treatment but no benefit. Previously doctor prescribed me Nexito Forte and Pronol 10 in morning and evening and Prestiq 50 in the night. I had taken it for two years but feel some benefit only. It causes me excess sweating. Then I consulted another doctor and he suggested me Paxep CR 12.5 in morning and Buspar 10 in morning and evening. But it creates a problem in sleeping and some weakness. Then I consulted another doctor, he prescribed me Nexito 10 and Clonazepam 0.5 in the morning and evening and Mirtazapine 15 in the night. But it created excess sleep and stomach upset. But I feel slightly better mentally. I am really confused that which treatment of medicine I should follow for a long term to get rid of my problem completely. Which will be a better option for me? Please help. I understand you are suffering a lot due to your depression and anxiety. Most medications given for depression as well as anxiety have similar efficacy. As per the history given by you, I think you have benefited from treatment suggested by the last doctor. I would advise you to continue tablet Nexito 10 mg in the morning and tablet Mirtaz at night around two hours before sleep. You can withhold tablet Clonazepam if you feel too sleepy. Along with medicines, I would advise you to focus on your diet and sleep hygiene. You can choose a physical activity and continue it. It will help you. There are some relaxation exercises like Jacobson's muscular relaxation techniques. These will help reduce the physical symptoms of your anxiety. Please follow up regularly with your doctor and continue medicines started for atleast six months. Thanks a lot for your suggestion madam. I have IBS diarrhea problem and Mirtazapine creates stomach upset. Should I continue or take some thing with Mirtazapine? Please suggest. Actually some studies have shown Mirtazapine to help with IBS. But I would like to ask you if the IBS has been diagnosed by a doctor? Or are you taking any other medications along with the above? I would advise you to take medicines after food.